Racing against a "cop" is a draw card that would be hard to resist for many die hard speed fans, even better when you can do it legally in a safe & controlled environment. The "Beat the Heat" initiative pits some of the Northern Territory's finest real life police officers against keen racers of all ages. 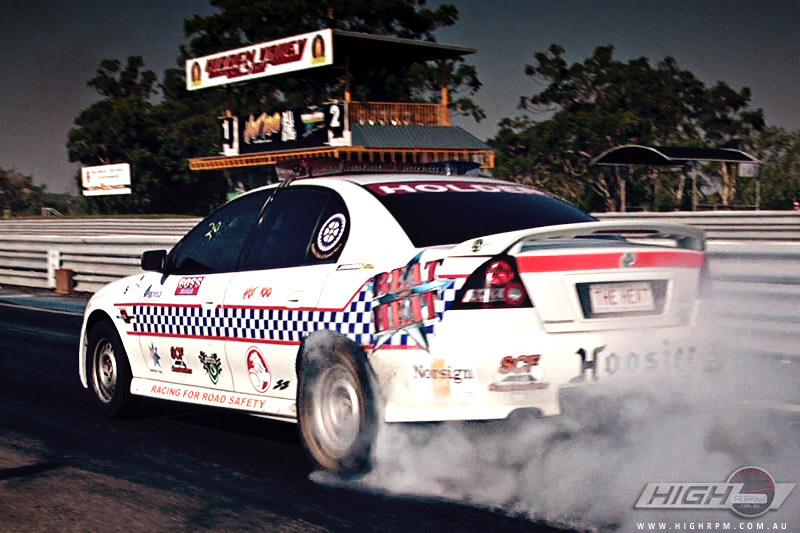 After successfully drawing the crowds to the Hidden Valley Raceway since 2003 the series has become a popular attraction for the motorsports loving public making household names of officers like Senior Constable First Class Shane Shewring who is the popular driver of "The Heat" and "Street Heat". The passion of those involved in the initative is a credit to them, they receive no funding from the NT Police or the Government and rely totally on support from the community, local businesses and service organisations. This year Auki Henry and Ed Forman ( Zerolizard / HighRPM ) were approached to kick off their 2011 advertising with footage from HighRPM's debut 2010 season. Here is the 15 second ad format due to broadcast on 7 Mate in the coming weeks.